Observation - Wild Daffodil - UK and Ireland. Description: A few clumps growing within a glade of a large unmanaged woodland, far from habitation or cultivation. 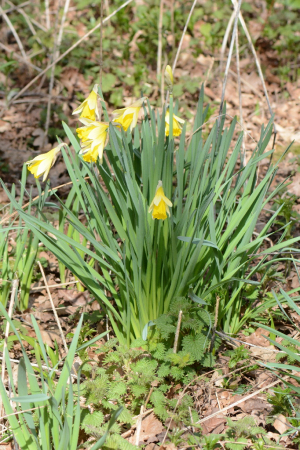 A few clumps growing within a glade of a large unmanaged woodland, far from habitation or cultivation.